The Queen’s Park Football Club Sports had been one of the best meetings in Scottish athletics as well as one of the first, they would also be one of the best athletic spectacles of the 20’s and 30’s, but there was a wee hiatus at the start of the twentieth century, for reasons to do with professionalism and corruption which are worthy of a separate page in their own right before the sports made their comeback in 1907. On this page we take a look at the sports after they started up again using only the Glasgow Herald coverage. Amateur athletics had been formally organised since 1883 with the founding of the SAAA and the first open athletics clubs appeared in 1885. There was continual friction between the two codes – amateurism and professionalism. There was no doubt about the corruption in professional athletics – and at times there was an overlap with prominent amateur athletes colluding with the pedestrians or even just emulating some of the worst practices. If the revival of the Queen’s Park FC Sports failed to produce a renewal of public interest in amateur athletics the faultisnot theirs, for nothing finer in the way of competition has been seen at any city meeting this season. As a matter of fact the racing all round was exceptionally interesting, and at the same time was characterised by a keenness which must have recalled to many the earlier athletic festivals of our leading club. Amateur running has been largely cleansed of the excrescences which sullied it in the eyes of so many, and there is in the near future a beneficent career for this cult of athletics. 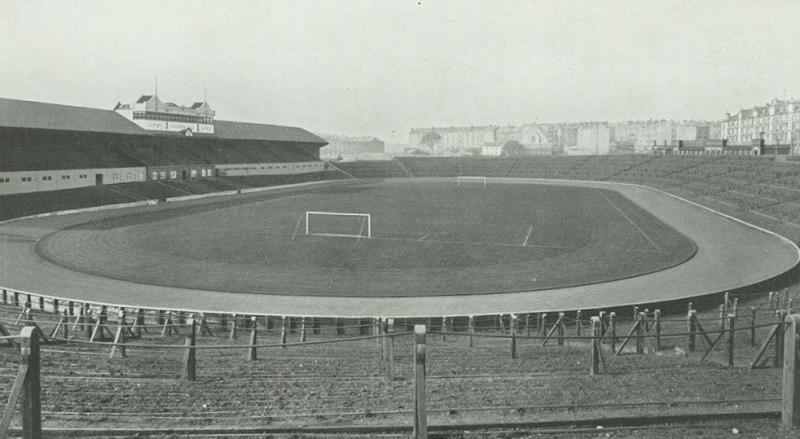 The Hampden track was sodden, yet for all that the “times” in some instances were fast, and with careful handling and a little judicious expenditure there is no reason why the Queen’s ground should not be the home of athletic records. Local support would be pleased when PR Grant, an old Queen’s Park back, won the 100 yards in 10 3/5th off 8 yards, the handicap mile was won by AB Hepburn with John McGough a yard behind, the schools relay was won by Allan Glen’s, the relay by Bellahouston Harriers. Judges reckoned that on a dry track with a clear run, McGough’s time would have been worth 4:20. The sports had returned and were a sporting success if not a financial one. “Then the mile was the fastest – 4 min 21 4/5th sec – that has been run in Scotland this season. D Rutherford was the winner and , like Turnbull, he exhibited resources that few had credited him with. 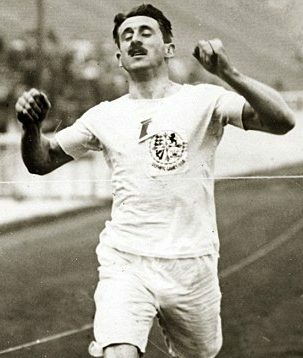 John McGough was not seen at his best; as a matter of fact it was obvious to all that he was running under physical disabilities. …. There was some very fine sprinting in the 100 yards and 220 yards. 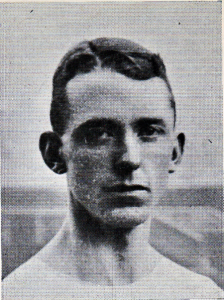 RC Duncan, a member of Queen’s Park, won the former from scratch in 10 2/5th sec, and the latter was captured by M Neilson, West of Scotland Harriers, 12 yards, in 22 4/5th secs. “The Queen’s Park may not have made a princely sum off their meeting on Saturday but they have the satisfaction of knowing that they have given the cause of athletics a much-needed lift in public favour.” The lack of a princely sum was maybe more significant than the report knew. Whatever the success of the 1908 meeting, 1909 turned out to be a disappointment – maybe for good reason. The Glasgow Herald of 7th June 1909 carried the following note: “Desirous that nothing should interfere with the success of the Australians visit to Partick Queen’s Park have abandoned their sports on June 19th. A proposal to this effect was submitted by the sub-committee entrusted with the arrangements and needless to say the General Committee cordially assented. Sports Meetings are everyday fare but cricket such as the Australians provide is a luxury.” In the cricket match on the 19th, the Australians of course won easily but the event was a great success. It is however a sign of the times that a football club would forego its athletic sports in favour of a cricket match. RT Duncan, SAAA 100y and 220y champion and internationalist was off scratch in the sprints. 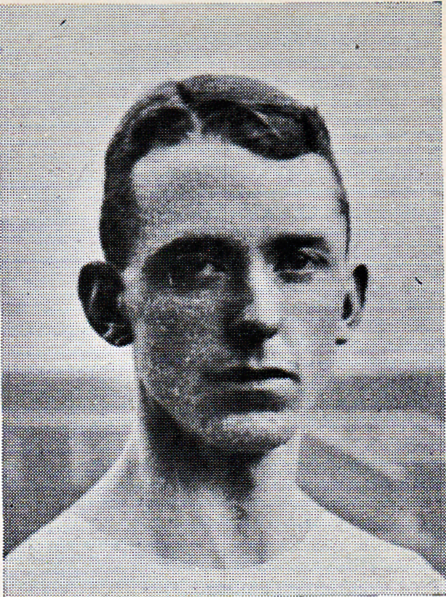 And an interesting competitor was Ralph Erskine of Allan Glen’s who was second in the high jump – he would go on to win the SAAA half mile title, become world lightweight boxing champion after winning the itle bout in New York before tragically being kille in action in January 1918. 1911 was the year of the Great Exhibition, a mammoth event encompassing all aspects of a civilised society. The Festival of Empire, or Great Exhibition, was held at the Crystal Palace in London from 12th May to celebrate the coronation of King George V. Wikipedia tells us thata pageant, organised by ‘Master of the Pageants’ Frank Lascelles, dramatising the history of London, England and the Empire was held. The first performance of the pageant was on 8 June 1911; in four parts, performed on separate days, it celebrated the ‘magnificence, glory and honour of the Empire and the Mother Country’. Music was provided for The Pageant of London by 20 composers including Ralph Vaughan Williams, Gustav Holst, Frank Bridge, Cecil Forsyth, Henry Balfour Gardiner, Edward German and Haydn Wood. This was performed by a military band of 50 players and a chorus of 500 voices. As part of the festival, an Inter-Empire sports championship was held in which teams from Australasia (a combined team from Australia and New Zealand), Canada, South Africa, and the United Kingdom competed in five athletics events (100 yards, 220 yards, 880 yards, 1 mile and 120 yards hurdles), two swimming events (100 yards and 1 mile), heavyweight boxing and middleweight wrestling. This is regarded as a forerunner of the British Empire Games (now Commonwealth Games), held from 1930. The Paisley Junior Harriers meeting on the third Saturday in July was successful and the forecasts by the club and the Press were that they would continue to use this date which had hitherto been the property of the Queen’s Park. From reports, it would seem that unfortunately the QP sports did not in fact take place that year. The meeting was held the following Saturday with several, nor many, running events, some field events and several such as the drop kick, sack race (one each for former pupils and ‘open to school’), and 300 yards in football costume (confined to Glasgow High School FP FC). Very interesting and the note on 28th April about relations with the High School is encouraging – but there is no note in the Herald of any sports meeting – open or confined – organised by Queen’s Park that year. With war looming, the August 224th Glasgow Herald announced that Queen’s Park had donated £250 to the Glasgow War Fund with a promise that more would be contributed if required. There had been no promoted meeting, but there had been a continuing presence of Queen’s Park in amateur athletics from schools sports to international fixtures. We know that there were sports held by the club throughout the 1920’s but the on-again/off-again nature of the event in the period from 1900 to 1914 was strange in view of the other events reported at the time. The Queen’s Park was famous for its staunch adherence to the amateur code – a fact remarked upon in 1907 and 1908 when they were started up again. But the situation in Glasgow was not quite as clear cut as the SAAA might have us believe. For instance, the Glasgow Police Sports were accused of “Profesionalising Schoolboys” by having schools relays and sprint in their meeting on July 11th, Clyde FC were said to be “whole hoggers” when it came to professional athletics, indeed pre– and post-amateur athletics, there were weekly professional meetings at Shawfield with big crowds, biggish money prizes and quality professional athletes competing and there was a prominent note on “pedestrian development at Shawfield.” Even Celtic FC put on some mid-week professional athletic meetings. In such an atmosphere it might have been thought that Queen’s Park FC would have made a point of flying the amateur flag. 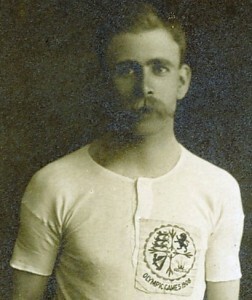 There were hints of disagreements within the club committee on the merits of holding athletic sports and at the time of the start o the war, there had been none for two years. The thread will be picked up in another post.